Get ready for a spooky evening with this 2-hour walking tour of New Orleans' haunted history. 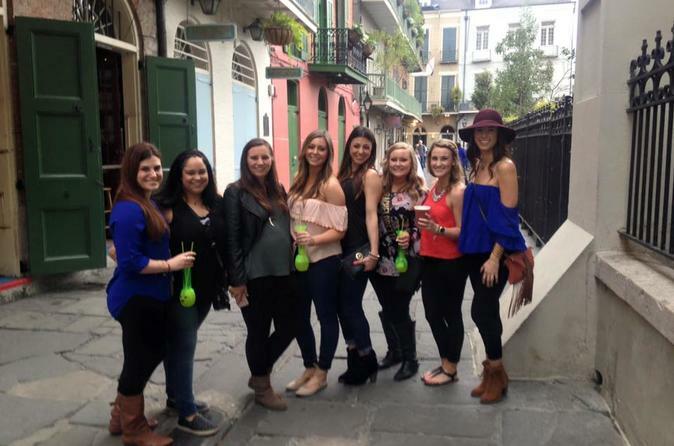 Start in the French Quarter, the city's oldest neighborhood, and visit multiple haunted locations throughout the area. This spine-tingling tour combines the supernatural and the rich history of New Orleans. Guests will be allowed to stop and grab drinks at bars along the tour route. Some bars allow kids inside however some do not. Meet your guide in the French Quarter to begin this fascinating look at some of the area's spookiest events and stories. Step back in time to the 1700s and 1800s during this tour. Hear historically accurate tales of local ghosts and vampires that have taken place right here in one of the oldest neighborhoods in the United States, the famous French Quarter. New Orleans has a very rich history, countless unsolved mysteries (including both documented unsolved murders and suicides), and it also has some powerful paranormal activity. That is probably why it is referred to as the most haunted city in the United States. This is the place to delve into the subjects of spirits, vampires, and voodoo. This tour illustrates the haunting tales of time gone by. Hear the story of the infamous serial killer like Madame LaLaurie. Visit the LaLaurie Mansion and hear the horror story behind this evil woman. During this tour you will hear stories of the Casket Girls whom are blamed for bringing the first vampires to New Orleans. We will visit more than 10 locations where ghosts and vampires have been documented being seen on a regular basis. Hear the history behind these legends and learn about the documented evidence that proves that these sightings are in fact, real. Visit the Sultan's Palace where the largest mass murder in the history of New Orleans took place. piece of paranormal equipment / EMF meter will be used during the tour. It is common for guests to experience cold spots and see apparitions, and some guests have actually caught orbs and apparitions in the photos taken during the tour. If you would like to see the paranormal activity photographed during past tours, just ask your guide to show you the photos.